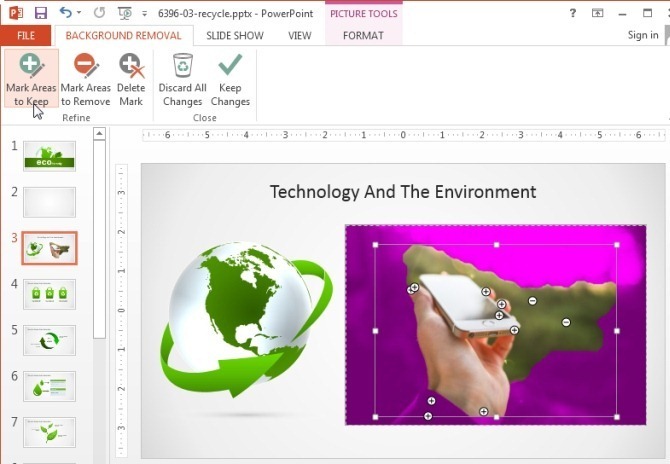 Making a presentation alone can be quite laborious and the last thing you need is to use complicated procedures to edit your images using Photoshop. 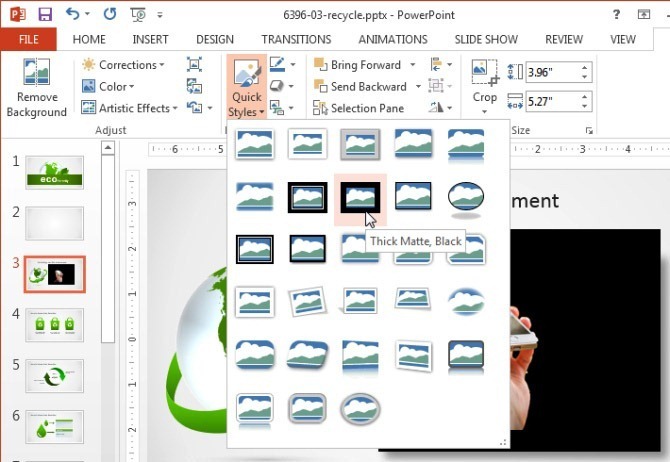 Thankfully, PowerPoint provides a lot of basic image manipulation options such as the ability to rotate an image, reshape and crop images and to remove background from an image. 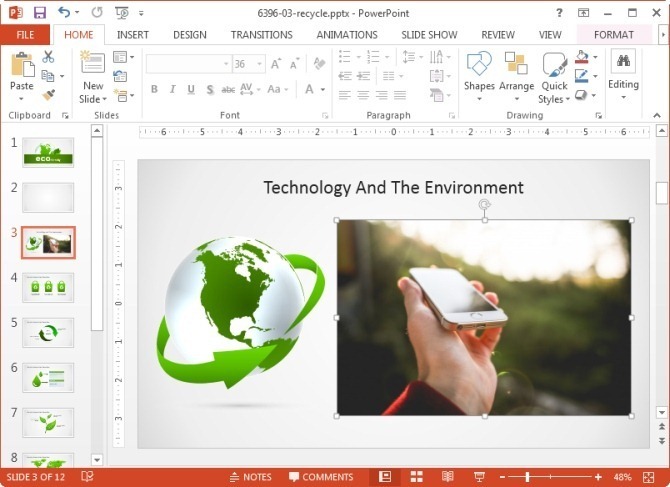 In the first step, click the image from within your PowerPoint slide and go to the Format tab. From here, select Remove Background option. 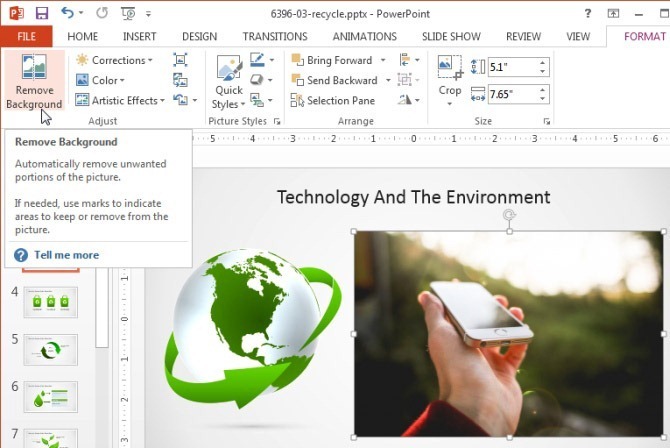 This option will highlight most of the background automatically, however, PowerPoint often gets the area selection wrong, at least to some extent; this is why you will require selecting the area you wish to keep. 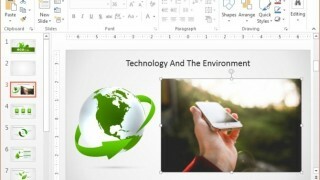 For the purpose of this post we will use the Eco Friendly PowerPoint Template and remove background from image in PowerPoint 2013 to retain the hand and mobile device in the picture, so that we can match it with the icon in the template and our slide title, which is meant to address the co-relation between the environment and technology. In the next step, click Mark Areas to Keep and click the portion you wish to keep. The highlighted area is the one which will be removed when you save changes made to the image, whereas, the visible area is the one which will be retained. The plus signs show the areas you have picked to retain. 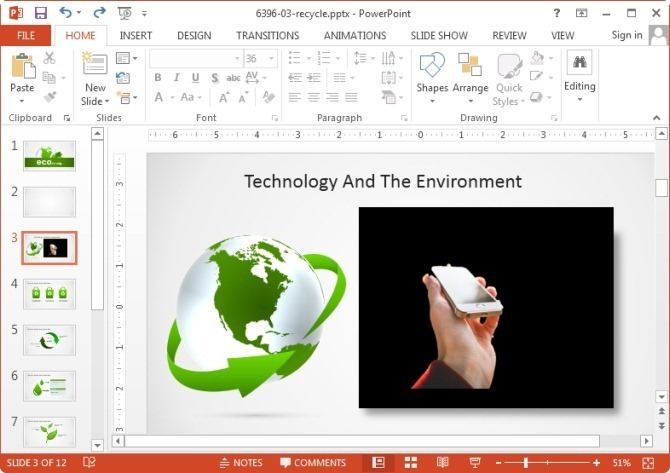 Most probably, there will be unwanted areas that will not be auto-detected by PowerPoint. To remove them, click mark areas to Remove and click on the areas to remove. This will add a minus sign and shade those areas so that you can identify what part of the picture is set to be removed. Once you are satisfied with the changes, click Keep Changes to remove the background from your image. 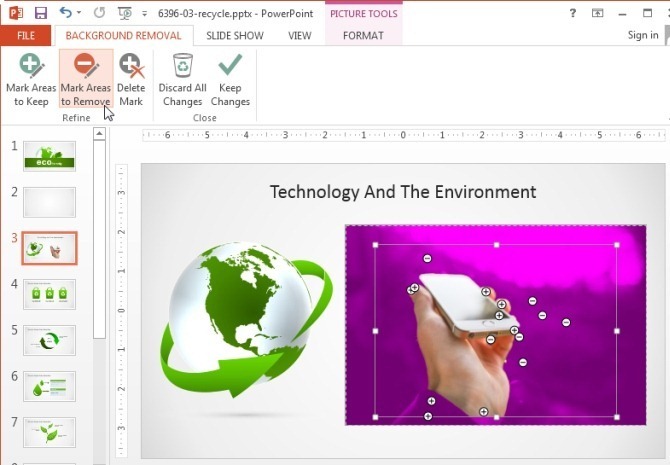 You can optionally change the background color and frame style for the image by going to the Quick Styles menu. The below image shows a black background that was used to replace the transparent background. 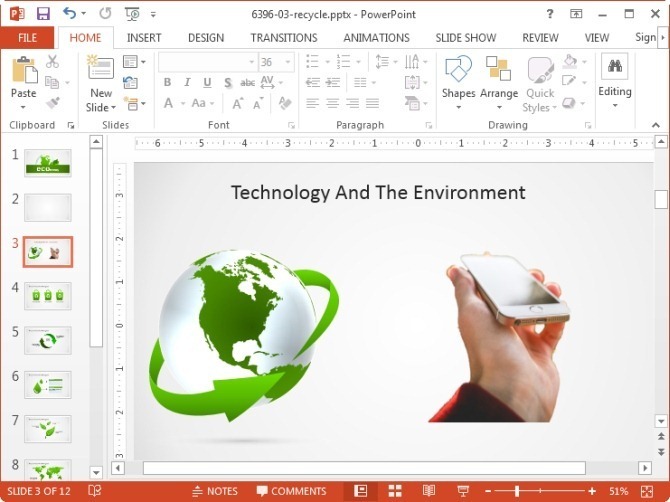 Of course, you can also use the image in the transparent form, however, changing the image background color or adding a frame might be useful when the template background color might not go well with the transparent version of the image.